Levy Creative Management | 2014 Award Of Excellence For Communication Arts Annual Illustration Competition! 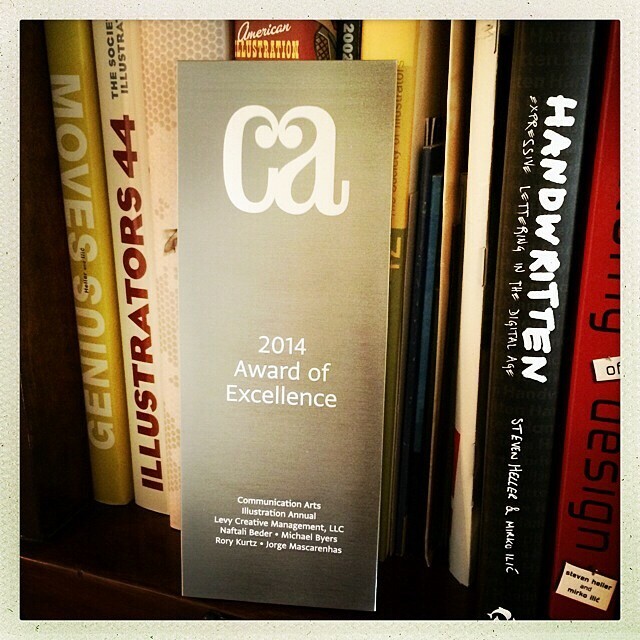 We’re so excited to share with all of you our 2014 Communication Arts Award of Excellence for their 2014 Illustration Annual. They were kind enough to allow us to include all our artists in our award so we are extremely grateful. Feeling so incredibly proud of the artists that we’re accepted into this years annual: Naftali Beder, Michael Byers, Rory Kurtz and Jorge Mascarenhas!